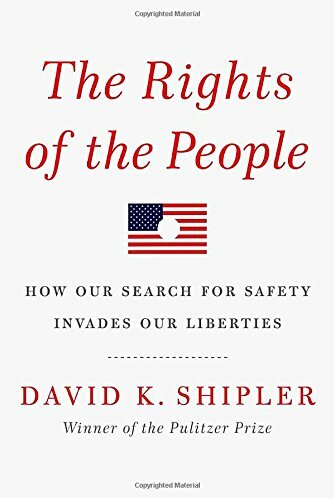 [PDF] The Rights of the People: How Our Search for Safety Invades Our Liberties | Free eBooks Download - EBOOKEE! Posted on 2017-10-06, by luongquocchinh. Description: An impassioned, incisive look at the violations of civil liberties in the United States that have accelerated over the past decadeand their direct impact on our lives. How have our rights to privacy and justice been undermined? What exactly have we lost? Pulitzer Prizewinner David K. Shipler searches for the answers to these questions by traveling the midnight streets of dangerous neighborhoods with police, listening to traumatized victims of secret surveillance, and digging into dubious terrorism prosecutions. The law comes to life in these pages, where the compelling stories of individual men and women illuminate the broad array of governments powers to intrude into personal lives. Examining the historical expansion and contraction of fundamental liberties in America, this is the account of what has been takenand of how much we stand to regain by protesting the departures from the Bill of Rights. And, in Shiplers hands, each persons experience serves as a powerful incitement for a retrieval of these precious rights. No comments for "[PDF] The Rights of the People: How Our Search for Safety Invades Our Liberties".